The world’s leading institutions in the field of cities’ resilience and adaptation to climate change have given their support to the Resilient Cities Congress Series from 2010 to today. Every year, we are delighted to welcome longstanding partners and extend our network to new organizations! Their support is instrumental in echoing the efforts and successes of the Resilient Cities Congress Series. United Nations Climate Change supports cooperative action by States and non-State actors to combat climate change and its impacts on humanity and ecosystems, thus contributing to a sustainable world and to realizing the vision of peace, security and human dignity on which the United Nations was founded. The United Nations Framework Convention on Climate Change, with UN Climate Change as its secretariat, has near universal membership and is the parent treaty of the Paris Climate Change Agreement and the 1997 Kyoto Protocol. The ultimate objective of these agreements is to stabilize greenhouse gas concentrations in the atmosphere at a level that will prevent dangerous human interference with the climate system. Established in 1966, the United Nations Development Programme (UNDP) has been partnering with people at all levels of society to help build nations that can withstand crisis and drive and sustain the kind of growth that improves the quality of life for everyone. UNDP works in four main areas: poverty reduction and achieving the Millennium Development Goals (MDGs); democratic governance; crisis prevention and recovery; environment and sustainable development. As the UN office for disaster risk reduction, UNISDR supports the implementation, follow-up and review of the Sendai Framework for Disaster Risk Reduction 2015-2030, which was adopted by the Third UN World Conference on Disaster Risk Reduction on 18 March 2015 in Sendai, Japan. The Sendai Framework is a 15-year voluntary agreement that maps out a broad, people-centred approach to disaster risk reduction, succeeding the Hyogo Framework for Action which was in force from 2005 to 2015. Together with its partners, UNISDR coordinates the Making Cities Resilient Campaign which encourages cities and city leaders to take proactive measures towards disaster resilient and sustainable urbanization. The United Nations Human Settlements Programme, UN-Habitat, is the United Nations agency for human settlements. It is mandated by the UN General Assembly to promote socially and environmentally sustainable towns and cities with the goal of providing adequate shelter for all. UN-Habitat’s programs are designed to help policy-makers and local communities get to grips with the human settlements and urban issues and find workable, lasting solutions. 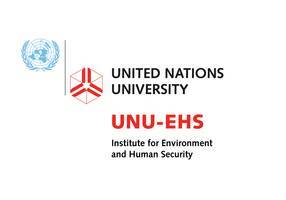 The United Nations University Institute for Environment and Human Security (UNU-EHS) is located in Bonn, Germany. UNU-EHS addresses risk and vulnerability aspects of human security and the consequences of complex environmental hazards for sustainable development. The work of UNU-EHS helps to improve the in-depth understanding of the cause – effect relationships to find ways to reduce risks and vulnerabilities. The Congress of Local and Regional Authorities of the Council of Europe is a pan-European political assembly, the 648 members of which hold elective office. They may be regional or municipal councilors, mayors or presidents of regional authorities representing over 200,000 authorities in 47 European states. The role of the Congress of Local and Regional Authorities is to promote local and regional democracy, improve local and regional governance and strengthen authorities’ self-government. The Federal Office of Civil Protection and Disaster Assistance (BBK) is the German national agency to protect the population in a state of emergency or conflict against natural and man-made disasters including war. Its specific tasks include warning of the population in major incidents and managing resources and information in the case of a national disaster. The BBK´s experts develop strategies, conduct crisis management exercises, and raise awareness among the general public to enhance self- protection. Cities Alliance is the global partnership for poverty reduction and the promotion of the role of cities in sustainable development. 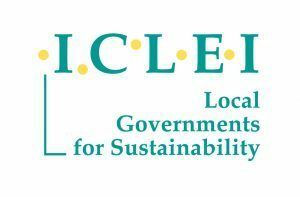 Cities Alliance has a unique membership, comprising associations of local government; national governments; multilateral organizations; international NGOs; private sector; foundations and knowledge institutions. Current work program priorities include equitable city economic growth; gender equality and resilience. The Cities Alliance is at the forefront of promoting new thinking on a range of policy gaps, including the important role of secondary cities; the informal city and promoting local and national partnerships. More information on Cities Alliance can be found here. The Fire and Rescue Service of the Federal City of Bonn is responsible for safety of the people and visitors of the City of Bonn. In addition to fire protection, technical response and the rescue service, the Fire Department of the City of Bonn is responsible for the safety on the river Rhine and disaster management. About 400 full-time employees are stationed on 5 fire and rescue stations scattered across the whole city. In addition, about 600 volunteer fire fighters provide their support at 18 volunteer fire stations. The Fire and Rescue Service is alerted to nearly 40.000 incidents a year to extinguish fires, help people or animals in an emergency and protect people and environment from hazardous substances. With 594.000 inhabitants Essen is one of the largest cities in Germany, and it is surrounded by the cities of the Ruhr metropolis, which is the third biggest agglomeration in Europe. With the long transition process from an industrial history to a science and service-based economy, the City of Essen experienced several important transition strategies. After implementing University’s and transforming industrial legacy to places of culture and identity Essen and the Ruhr metropolis managed to become a liveable and green region with today 2/3 of all employees working in administration, science and service economies. With the great visions of the International Building Exhibition “IBA Emscherpark” Essen and the entire Region managed to become a European Capital of Culture in 2010 and the Green Capital of Europe Essen 2017. 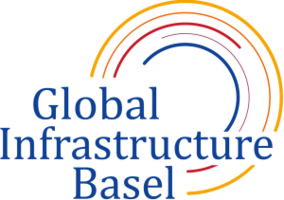 Global Infrastructure Basel (GIB) Foundation is a Swiss foundation based in Basel working to promote sustainable and resilient infrastructure through sustainable infrastructure design and financing on a global scale. Active since 2008, GIB works with multiple stakeholders ranging from city representatives to project developers and infrastructure financiers, with a focus on emerging and developing countries. The Cities Climate Finance Leadership Alliance (CCFLA) represents a multistakeholder and multilevel coalition of network of cities, private investors coalitions, development banks, national governments, research centres, foundations and civil society organisations that have come together to propose a set of measures designed to catalyse and accelerate investment into low-carbon and climate-resilient infrastructure in urban areas. Its core value proposition includes: Advocacy and raising visibility; scaling-up successful financial products; growing pipelines of fundable projects; creating enabling environments (readiness); catalysing and brokering partnerships; and coordinating and manage research & knowledge. The Global Fund for Cities Development (FMDV) is the unique International Alliance of Local and Regional Governments dedicated to identify, promote and develop solutions for financing and investing in urban development in a resilient, integrated and sustainable approach. 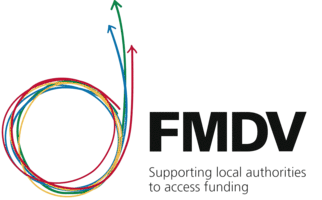 To fulfill its objectives, FMDV works on three pillars of actions: Organizing the appropriate environments, instruments and strategies to finance urban development and local economic development; contribute to the dialogues through coalitions of actors and thematic platforms; participate in international processes in order to promote proven solutions, identified from its actions on the field, for implementing international commitments. The Climate and Development Knowledge Network (CDKN) supports developing country decision-makers in designing and delivering climate compatible development. They do this by combining research, advisory services and knowledge-sharing in support of locally owned and managed policy processes. They work in partnership with decision-makers in the public, private and non-governmental sectors nationally, regionally and globally. CDKN is an alliance of five private and non-governmental organizations operating across Asia, Africa and Latin America and the Caribbean, with a global office in London, UK. Please visit www.cdkn.org for more information. The German Committee for Disaster Reduction (Deutsches Komitee Katastrophenvorsorge e.V., DKKV) is a national platform for disaster prevention in Germany. DKKV’s unique characteristic is its consolidated network of key stakeholders within the disaster reduction domain at the national, European and international level. The network’s interdisciplinary and multi‐sectoral character enables a broad and targeted dissemination of initiatives, knowledge and methodologies within the disaster risk reduction community. As such, the DKKV supported the development of international frameworks such as the Hyogo Framework for Action (HFA) or the German Strategy for Adaptation to Climate Change (DAS). Members of DKKV include governmental agencies, research institutes and organizations, humanitarian and development cooperation organizations as well as other experts from the field of disaster risk reduction. Metropolis is the global network of major cities and metropolitan areas It brings together the governments of 139 urban agglomerations worldwide. With 33 years of history, today the association is the focal point of expertise on metropolitan governance. Raising the voices of metropolises to the global agenda and building capacity to deliver public policies and services, Metropolis contributes to finding common answers to the challenges of metropolisation. The World Resources Institute (WRI) is a non-governmental global research organization which seeks to create equity and prosperity through sustainable natural resource management. WRI is an independent, non-partisan and nonprofit organization with a global staff of more than 450 scientists, economists, policy experts, business analysts, statistical analysts, mapmakers, and communicators developing and promoting policies with the intention of protecting the Earth and improving people’s lives. The efforts of the WRI are focused on six key areas – climate, clean energy, food, forests, water, and sustainable cities. For more information please go to wri.org. 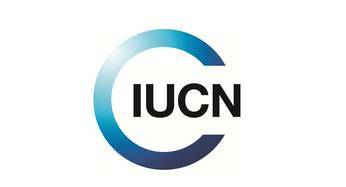 Visit www.iucn.org for more information. As an independent international research organization, they are specialists in linking local to global. In Africa, Asia, the Caribbean, Central and South America, the Middle East and the Pacific, they work with some of the world’s most vulnerable people to ensure they have a say in the policy arenas that most closely affect them — from village councils to international conventions. The International Society of City and Regional Planners (ISOCARP) is a global association of experienced professional planners. It was founded in 1965 in a bid to bring together recognized and highly-qualified planners in an international network. The ISOCARP network brings together individual and institutional members from more than 80 countries worldwide. As a non-governmental organization ISOCARP is recognized by the UN, UNHCS and the Council of Europe. The Society also has a formal consultative status with UNESCO. For more information on ISOCARP please visit www.isocarp.org. The Network of Regional Governments for Sustainable Development – nrg4SD – is a global association that represents regional governments in the international agendas on climate change, biodiversity and sustainable development. Established in 2002, today it has over 50 members from 26 countries in 4 continents. The nrg4SD serves as the voice of regional governments at UN negotiations, EU initiatives and global discussions. The facilitates cooperation projects and partnerships between members and with international experts. It promotes expertise exchange, capacity building and knowledge transfer to assist in the implementation of international commitments. Advocates for recognition and supports further engagement of regional governments in the global agendas. In the field of climate change, the nrg4SD runs the RegionsAdapt initiative, which aims to inspire and support regional governments to take concrete action, collaborate and report on climate adaptation. Visit http://www.nrg4sd.org/ for more information on nrg4SD. RUAF is a leading centre of expertise and Global Partnership on sustainable Urban Agriculture and City Region Food Systems. 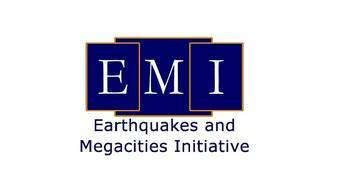 The Partnership is formed by a mix of cities, research institutes and NGOs. RUAF seeks to contribute to the development of sustai­nable cities by facilitating awareness raising, knowledge generation and dissemination, capacity development, policy design and action planning for resilient and equi­table urban agriculture and city region food systems. For more than 20 years, RUAF has supported govern ments, urban producer organisations, NGOs, CBOs, research centres and other stakeholders with training, technical assistance, action-research and policy advice in over 50 cities around the world. In addition, we sup­port local, national and international knowledge exchan­ge, advocacy and learning activities. For more information, visit www.ruaf.org. Resilient Regions Association offers a neutral arena where the business sector, academia, municipalities and government agencies meet to solve regional challenges. Together we develop new solutions, new knowledge, new techniques and “best practice” to build a more resilient society with robust functions and flows – a society with the ability to quickly overcome and recover from stresses. For more information about Resilient Regions Association and its activities, please visit www.resilientregions.org. The Urban Climate Change Research Network (UCCRN) is a consortium of over 900 individuals dedicated to the analysis of climate change mitigation and adaptation from an urban perspective. UCCRN members are scholars and experts from universities and research organizations. 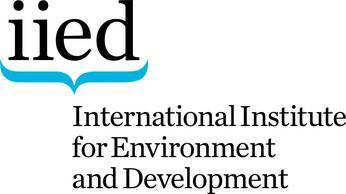 They span a broad range of expertise including climate scientists; urban heat island and air quality experts; climate change impact scientists; social scientists, including political scientists, planners, and economists; and urban designers and planners. 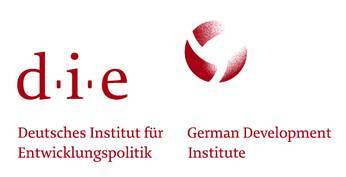 The German Development Institute / Deutsches Institut für Entwicklungspolitik (DIE) is one of the leading research institutions and think tanks for global development and international development policy worldwide. The DIE’s unique research profile combines research, consulting and professional training. DIE builds bridges between theory and practice and works within international research networks. The vertical farm institute is a team proficient in a number of expertises and they have become a leading international research network on the topic of vertical farming. Architects, engineers, plant physiologists and artists represent the broad spectrum of knowledge required to develop and implement the new typology of vertical farming. The vfi operates within the framework of the UN agenda 2030 for sustainable development and the EU action plan for closed-loop / recycling economies.